We ALWAYS have avocados on hand. Could there be anything more delightful? They are the ultimate power food…and we all love them. We eat them on salads, salted on sprouted bread, plain, on curries…you name it. Avocado was both Bella and Lucy’s first food. Yum yum. This is not the soft goat cheese that you might be thinking of…we get the raw cheddar cheese and we eat A LOT of it. It’s more spendy ($6.99 for a small block)…but it’s so worth it because we don’t do cow’s milk cheese around here most of the time. If you’ve never had it, you’ll be surprised at how wonderful it is! Even when we’re eating mostly raw, we keep this cheese in to satisfy cravings. Oh.My.Goodness. Love it. Maple is our favorite. We top our brown rice cakes with it. We put it in our oatmeal. We like to scoop it right out with a spoon. No, it’s not raw…but it’s darn good. They also make them in little travel packets. So handy dandy. They are based out of Boulder…I might have to go take a photo of their headquarters while we’re here. I love them that much. Crave it. The smell. The sweetness. Love it. 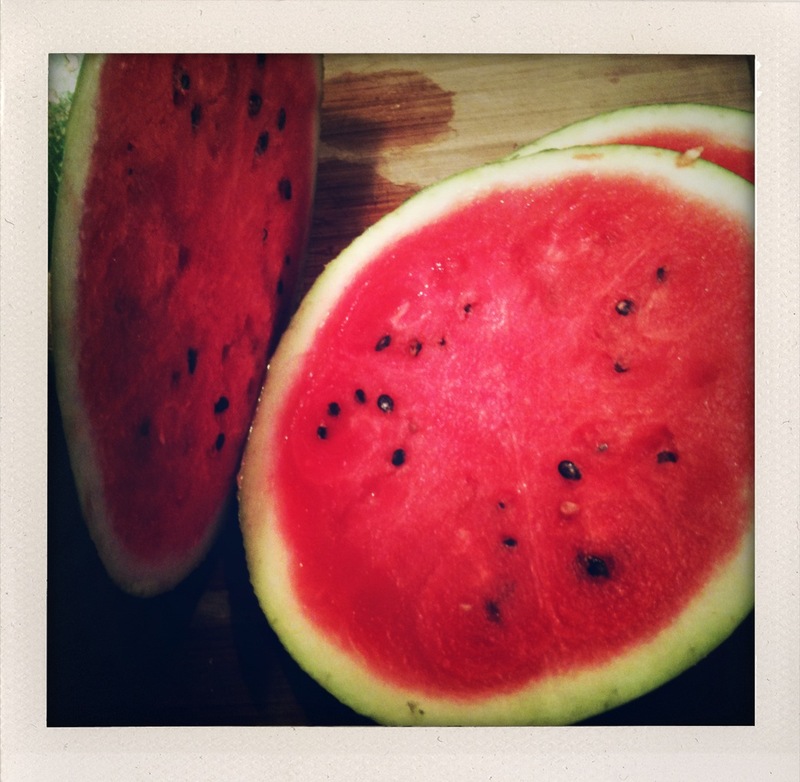 We eat LARGE bowls of it in the summertime, sometimes having entire meals of just watermelon. This is easily my favorite tea. I have it nearly every morning. Just the smell will amaze you. Excellent hot or iced. This is a recent addition to our favorites. The texture is similar to brown rice. Chewy, nutty, and delicious. 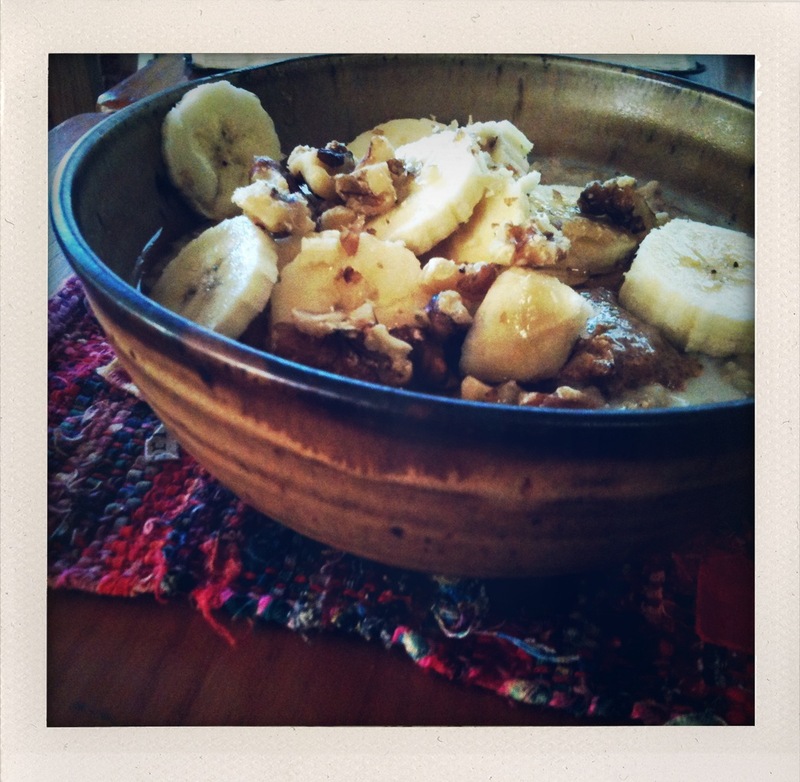 Iwe like to top it with bananas, almond butter, walnuts or hemp seeds, maple syrup, and almond milk. So there you have it. A short list of the foods and drinks that we’re loving right now. What’s on YOUR list? **Disclaimer: Some of the links above are linked to our affiliate account at Amazon. If you order using our link, we will get a tiny bit of that sale. I have seen that brand of nut butters at whole foods–need to try them! Yes-totally agree to the green smoothies! I fell off the wagon and felt -off–now I am back on and on my way back to balance. Look forward to your challenge. LOVE watermelon and C.Seasoning Red Zinger is our hands down favorite. Great list! All of those are tastey treats. We love avocados around here too. I will have to try the steel cut oats since I really like the texture of brown rice. Thanks for the great inspiration. I’m totally with you on avocados, they are my favorite creamy bliss. As for your photos – they look different, kinda antiqued or something. Does that make sense? They kinda resemble that girl who has a blog, boho photography. I love her style! 🙂 Anyway, they look really beautiful. Lana…it’s actually an iPhone app called ShakeItPhoto 🙂 thanks! 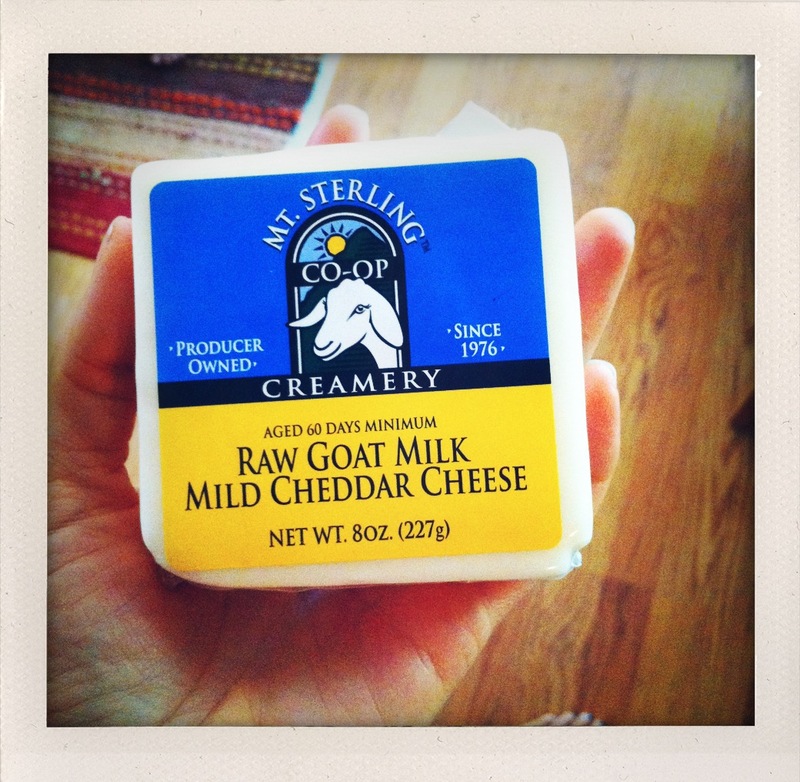 Oh My… thank you for the introduction to the Raw Goat Cheese. So excited to try it. I sure do appreciate your thoughtfulness in creating Happy Foody! It helps introduce new exciting ideas and options for folks like me that are trying to be good to our bodies and feed them much needed nutritious love. I’m also in love with watermelon this summer and I will be on the lookout for the green smoothie challenge!!! Our necessity this summer is BLUEBERRIES! Valentine is in complete and total love with them!!! You should try Tazo’s passion tea iced. So so good. Green Smoothies are a must have for me too. I had gotten away from them for a while—and boy, could I feel that. Since I’ve started back I’m feeling better. Cowboy Coffee. LOVE It. Fair Trade, Shade Grown, yummy, yummy coffee. Feta cheese. There is nothing like feta, covered with olive oil and baked until it is a little melty. Then dip in a good whole grain bread. YUM! I’ve made whole meals of this. 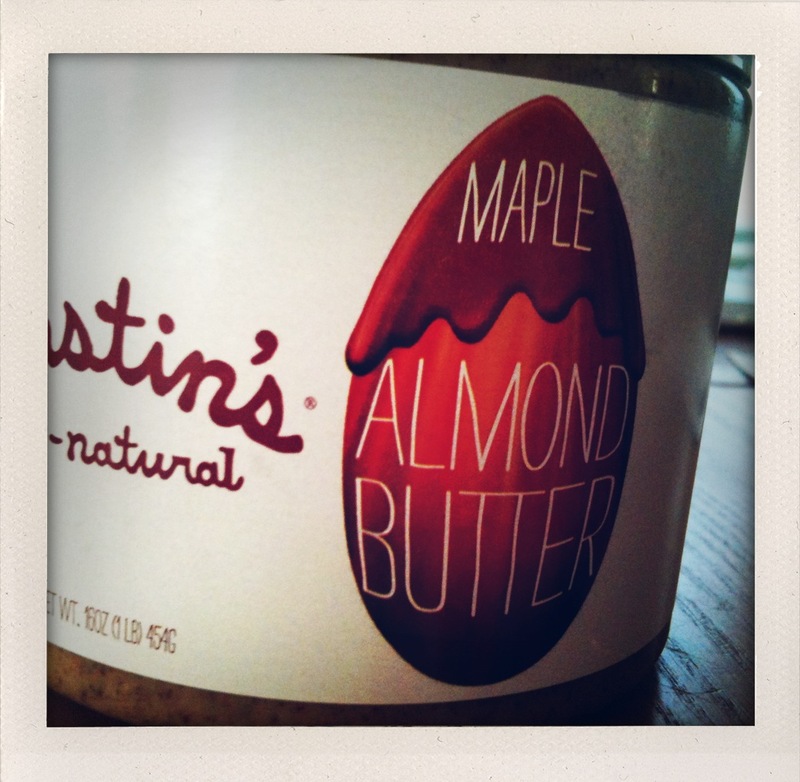 Target also carries Justin’s almond butter, but I’ll make sure to use your amazon link in the future. It’s a much better deal anyway. Have you tried baking steel-cut oats at night, then leaving it in the oven (turned off) overnight? Still warm in the morning, and oh the texture- yummy! oh, and for goat cheese, local farm Singing Hills for us. Hummus and Pitas! I can put hummus on pretty much anything. Delish. We always have black beans, spinach, watermelon, raspberries, blueberries and wheat pasta from Trader Joe’s. Oh and Veggie Broth. Can’t wait for the smoothie challenge!!!! Just wanted to say I love this. So interesting to see what other people enjoy most! 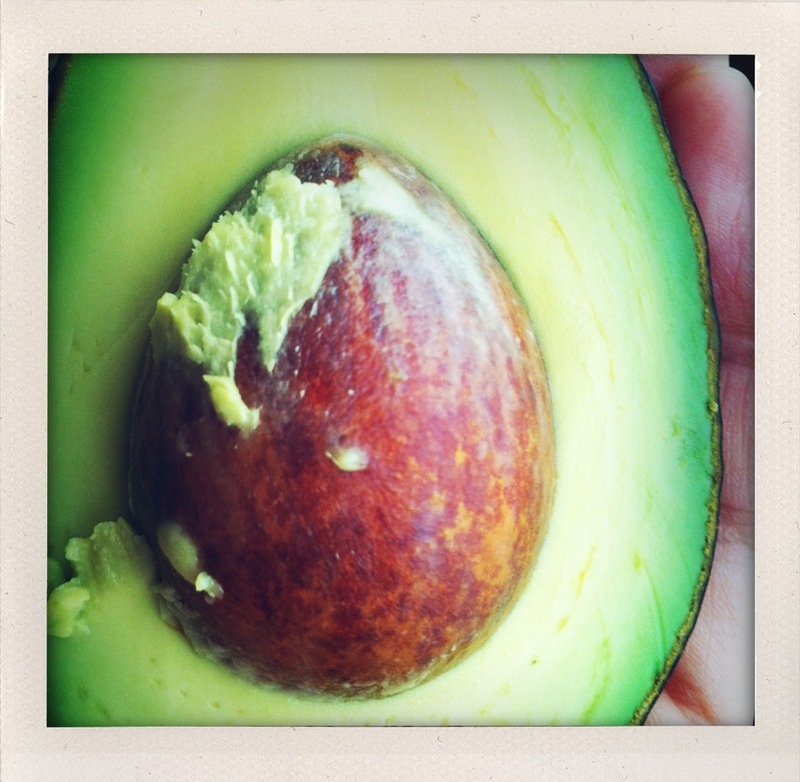 Also – this is the THIRD post today I’ve read that includes avocados, and while I wanted one earlier, now I have a full-on mad craving. We’re also an avocado family. We love smoothies with avocados, bananas, spinach, and chocolate almond milk. We enjoy almond butter, goat cheese (the soft kind — I can’t wait to find and try the kind you’re mentioning! ), rice noodles — we tend to eat tofu pad thai once a week — hummus, sprouts, tomatoes, zucchini, fresh corn … kiwis are also big around here! And I definitely eat nutritional yeast once a day sprinkled on something as well. 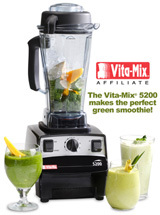 Can’t wait for the green smoothie challenge! Loved the last one, though I didn’t participate publicly. It was a great intro to green smoothies for me, and now I’m hooked, and feel the difference when I don’t drink them regularly. Avocados, spinach, bananas, strawberries (all but the avocados for green–well, brown/ponscummy–smoothies), oats, rice milk, and nuts (almonds, walnuts, cashews, pistachio). 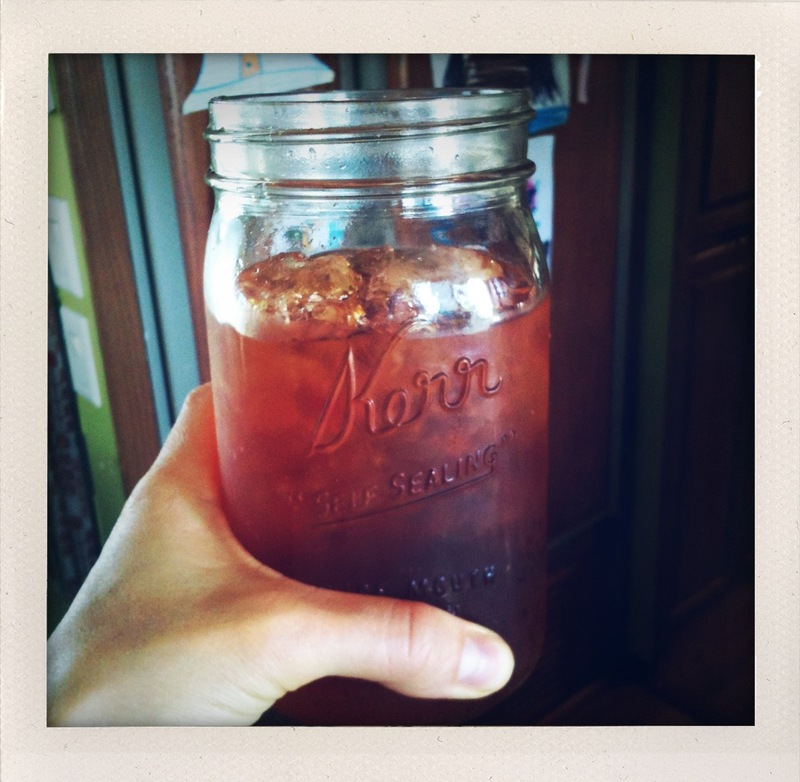 Ok so my kids love the iced tea and then a well meaning friend said oh no don’t let them have tea. Just wondering your take… if it’s decaf it really is just what flavored plant water seems harmless. Thoughts?? Ginger…I do give the girls herbal tea (such as chamomile or rooibos), which is naturally caffeine free, but not “decaf” tea. 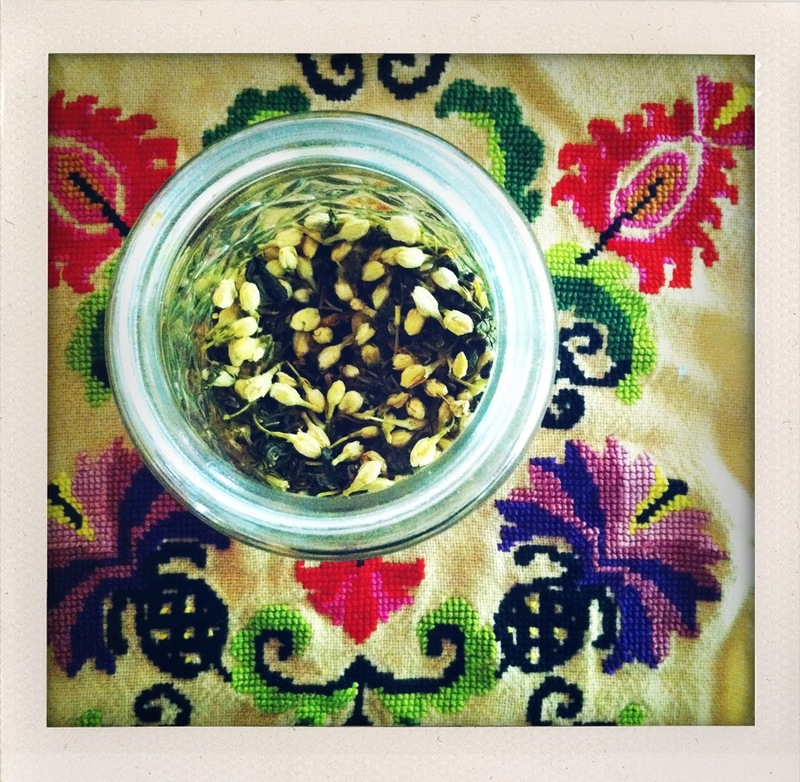 Decaf teas are often decaffeinated with chemicals and can still have a bit of caffeine in them. Does your whole family eat only raw or just you? I know your family is half the size of mine so it would be different, but what is your budget of organic fruits and veggies and cheese? It’s so expensive to eat well. I don’t get to eat some of the things I’d like us to. Avocados are great! In Chile it’s our national passion, we have them everyday, mashed with lemon or a drizzle of oil and a bit of salt as a spread on bread. Yay for “paltas” (avocados in Chilean Spanish)!! We have many varieties but we keep coming back to the Hass variety. YUM! God bless! -THe raw breakfast recipe on Sasa’s blog too good to be true, we’ve been adding some flax or chia seeds and it’s filling and delicious. -goat cheese ‘cream cheese’ with garlic and dill smeared on cucumber slices. THIS is exactly why I love you Sara Janssen! Your blogs help me stay focused! We got caught unprepared yesterday and ate fast food…then we all felt yuck! Bring on the green smoothie challenge! My little family is ready! My current necessities: Green Smoothies (Oh how I love them), a full waterbottle, mangoes, organic baby carrots, and avocados. 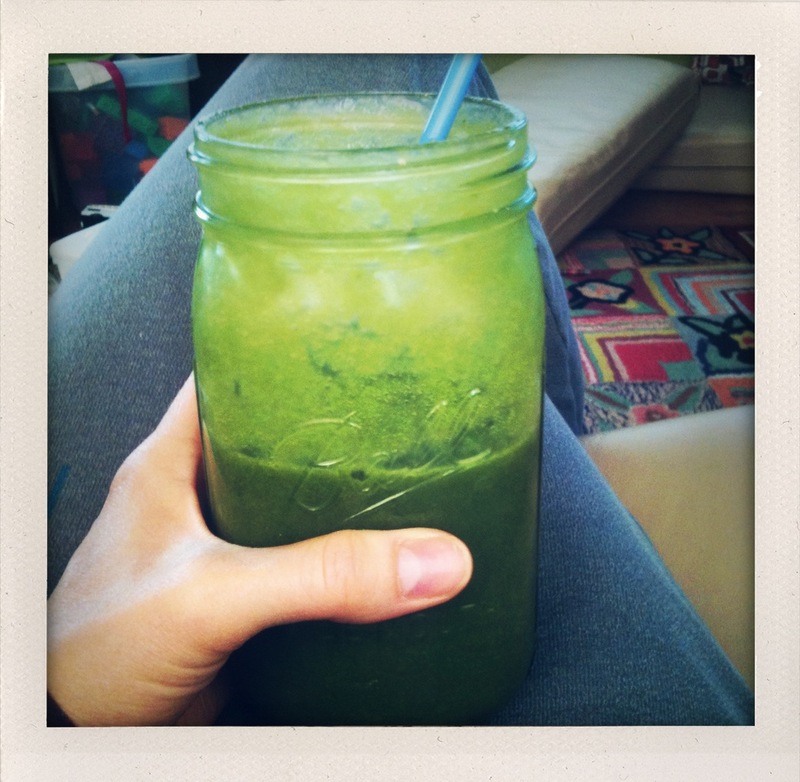 Looking forward to another green smoothie challenge! Are we any closer to the green smoothie challenge? Can’t wait! Walnuts. Mine change, but I go through these phases where I just have to have something on a daily basis, and usually I just assume my body is telling me that it needs something. For about a month, my necessity has been walnuts – I put them in my oats, my salad, everything I bake, pasta, etc. Yum. I love that you drink out of JARS like we do!!!!!! I’ve started juicing lately, too. Been successfully doing my morning smoothies for almost a week now and I’ve been feeling great and beautiful! I don’t have an official list but I totally am CRAZY about Avocados. I wonder if there’s such a thing as too much avocado in the diet?